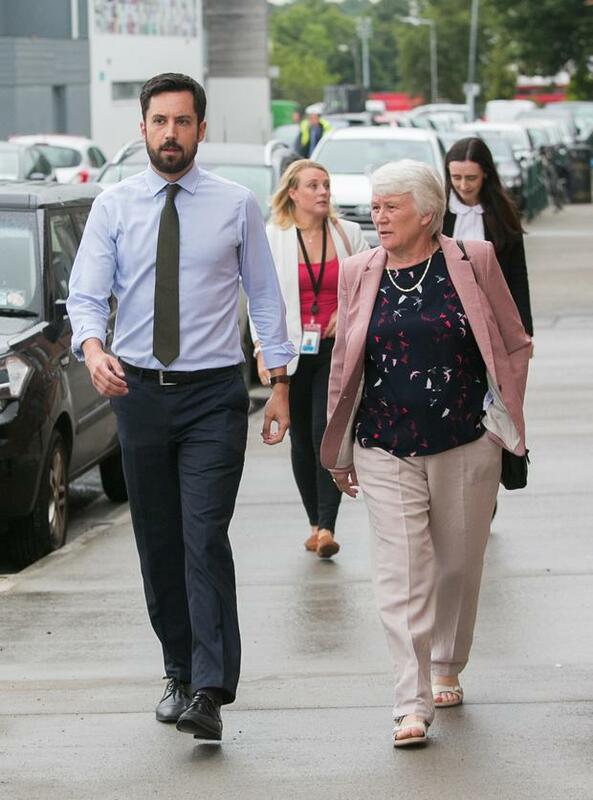 Eoghan Murphy was unexpectedly challenged by a Government colleague as he launched a major housing project in the capital. 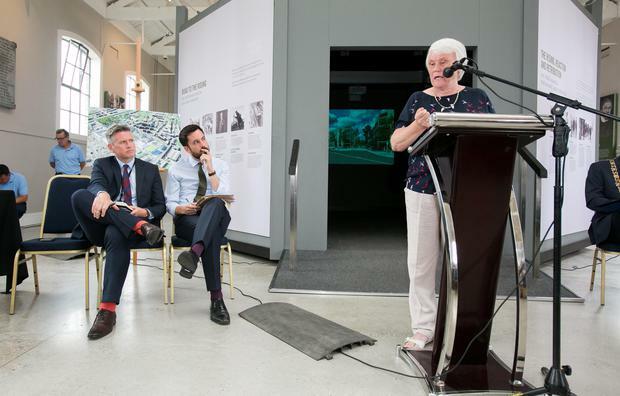 Plans for the development of 470 homes for St Michael’s Estate in Inchicore, Dublin, were being unveiled in Richmond Barracks under the country’s first cost-rental scheme. The move has already been controversial because St Patrick’s Athletic FC had separate plans for a new stadium. 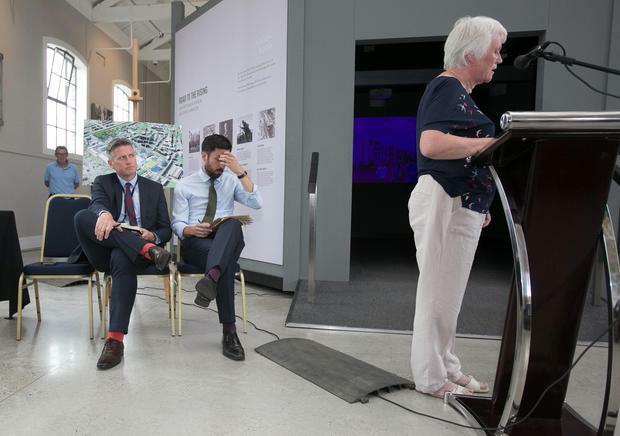 Those who spoke in favour of the ambitious housing development included Mr Murphy, Lord Mayor Nial Ring and deputy chief executive of Dublin City Council Brendan Kenny. However, towards the end of the proceedings Ms Byrne interrupted, declaring her opposition to the proposals. 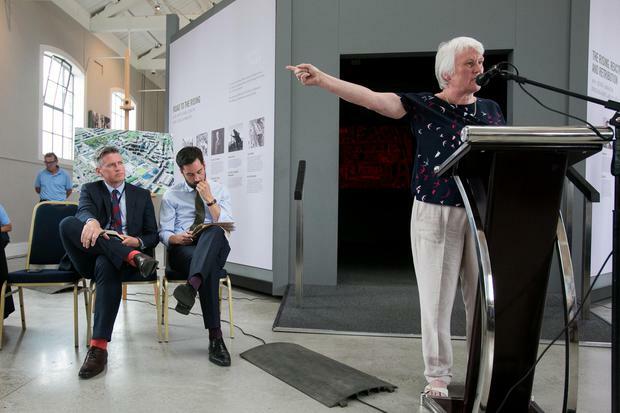 Ms Byrne believes the size and scale of the project represents over-development of the site and brings little in terms of “badly needed facilities and amenities” to Inchicore. She was also critical of the proposal’s cost-rental model. “I’m pleading with you, minister, as a colleague and member of this Government. Several hours after the launch, a statement was sent out by Ms Byrne via her Oireachtas email. Normally, when a statement is issued by a Fine Gael TD, it is sent from the party’s press office, and not the TD’s oireachtas address. An ‘Editor’s Note’ was at the end of the statement, advising Ms Byrne would be doing no follow-up interviews. Mr Murphy thanked Ms Byrne for her input and said that details of the scheme were “still being fleshed out”. “We have a site in our community that’s ready for development. We can say no to everything and nothing will happen here for years to come,” he said. Some 140 homes will be used for social housing, while the remaining 330 will be rented out to people at affordable prices – 15pc-25pc below market value. A new library, a supermarket and other community facilities are also included in the plan. Mr Murphy expressed his “intent” to do something for those most affected by the housing affordability gap. “Low and moderate-income renters in Dublin and other cities in Ireland often face particular housing affordability challenges, and the Government is committed to addressing this supply gap as part of its package of affordability measures,” he said. “Cost-rental could be a game-changer for the rental market, as it has been in many other cities we have looked at.” he said. The scheme will be aimed at households earning low to moderate incomes of up to €50,000 (single income) to €75,000 (dual income). Meanwhile, St Patrick’s Athletic FC expressed its disappointment over the proposals, saying it represents “a huge missed opportunity for the community of Inchicore and the wider area”. The club has created ambitious plans for a state-of-the-art soccer stadium for the St Michael’s Estate, which included a shopping centre and other amenities. Tom O’Mahony, the club president, issued a statement in the immediate aftermath of yesterday’s launch. “Our plan as designed incorporates 520 housing units across the two sites,” he said. “The town centre, which our proposal would deliver for Inchicore, was widely recognised to be a ‘game-changer’ which would provide regeneration, employment and vastly improved retail and community facilities for a community which has been badly left behind, in the Celtic Tiger era and subsequently.